I thought K-Rod‘s 8-figure salary days were over since Omar Minaya is no longer a major league GM, but I guess he still thinks he’s worth that much to some team. The Dodgers have certainly been willing to spend big money on other players, but I agree with Aaron Gleeman – they can come up with a more creative solution to their short-term closer problem..
Last week reports had Rodriguez holding out for a two-year deal, but presumably if the price if high enough–and $10 million would certainly be high enough–he’d consider a one-year pact. Of course, for now at least there’s no indication that the Dodgers are actually pursuing Rodriguez and if any team is willing to go forward without their closer by not acquiring another “proven closer” it’s the one with Andrew Friedman in charge. Milwaukee Brewers reliever Francisco Rodriguez made news this week by sustaining one of the silliest injuries of the spring: he’s missed several days because he stepped on a cactus with his bare foot. Rodriguez was once an elite closer for the Los Angeles Angels of Anaheim, setting a record with 62 saves in 2008 and finishing in the top 10 in both the American League Cy Young and MVP Award voting. That winter, Rodriguez signed a three-year, $37 million free agent contract with the New York Mets. He represented the Mets in the All-Star Game in 2009 and generally had a good year, though his personality was not always appreciated. Those negative elements came to greater focus in 2010, first when Rodriguez got into a shouting match with bullpen coach Randy Niemann and then when the Mets’ closer was arrested and charged with assaulting his girlfriend’s father following a loss. Rodriguez eventually pleaded guilty and was sentenced to a year of anger management classes and a fine. In 2011, the Mets traded Rodriguez to the Milwaukee Brewers, where he was used as John Axford’s setup man. He hasn’t been a closer since then. After being traded to the Baltimore Orioles last July, Rodriguez re-signed with the Brewers this winter. 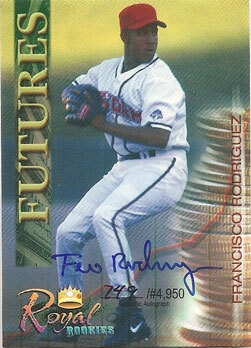 In 2000 and 2001, Royal Rookies produced sets of baseball cards that were not licensed by Major League Baseball or Minor League Baseball, filled with a selection of minor league prospects. While there are some players of note who made the checklist, the quality of photos, lack of logos and general design keeps the Royal Rookies cards from being popular with most collectors. On the bright side, that meant Rodriguez’s autograph (“limited” to #4,950 copies) was less expensive than his certified autograph cards in MLB-licensed sets. His signature on the Royal Rookies cards is also more legible some of his later certified autographs. This one cost me $12.20 from COMC.com in 2012 and removed a player I’m not very fond of from my Mets All-Time Roster autograph project wantlist. I finally picked up a few packs of Topps Heritage cards this week, but I didn’t have any luck finding Mets. 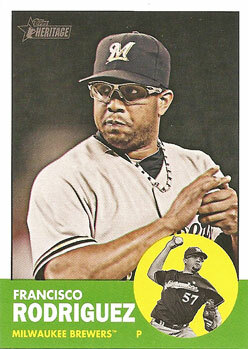 I did end up with two different Derek Jeter cards and a bunch of Boston Red Sox that will be moving on to new homes shortly, and then there was this card showing former Mets closer Francisco Rodriguez with his current team. I bought the full Mets team set from an eBay seller yesterday so I don’t have to worry about tracking down any of the short prints or multi-player cards later. I might still pick up a few more packs whenever I stopped by Target, but like everything else, baseball card prices keep going up. A nine-card retail pack costs $3.19 this year, which works out to a little more than 35 cents per card. There are also 16-card jumbo packs for $5.29, or 33 cents per card. Give me an eight-card pack for $2 and I’d happily keep buying them for most of the summer (and even the old $2.99 and $4.99 price points would be more attractive)… I guess printing costs, licensing costs or shipping costs require the higher prices these days. I do like this year’s Heritage offering. The 1963 set that it’s patterned after is one of Topps’ more colorful designs of the decade. Whoever was picking photos seemed to try to be true to the era by choosing a lot of posed shots. Where game action photos were used – like on K-Rod’s card – they’re cropped in a way to make it less obvious that they’re not posed. This should be a nice set for autograph collectors who want to get their baseball cards signed. I tried. I caught a little bit of Friday’s blowout victory by the Tampa Bay Rays, and the inning and a half that the Yankees and the Tigers were able to play before the heavy rain arrived in the Bonx. I watched at least part of all three games on TBS on Saturday, including the Phillies’ come-from-behind efforts that led to an 11-6 victory over the Cardinals, and the conclusion of the Yankee game — a 9-3 victory for the Bronx Bombers. At least while I wasn’t watching, the Tigers and Cardinals both earned victories to even things up. Tonight is the rematch of C.C. Sabathia and Justin Verlander… I was looking forward to the marquee pitching matchup on Friday, but tonight I’m not sure if I’ll even tune in. Is anyone else having a hard time getting excited about the post-season when their team didn’t make it? The games haven’t been especially interesting lately, but the Mets have been busy making news today. 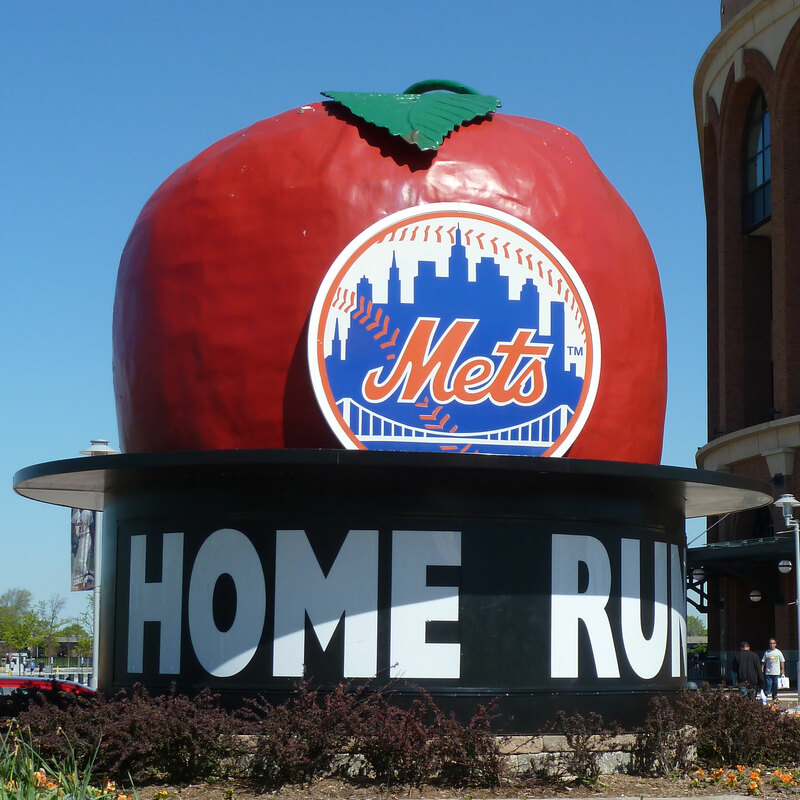 Negotiations between the Mets and David Einhorn that were once expected to lead to the Manhattan hedge-fund manager acquiring an ownership stake in the team have come to an end. Beyond the obvious – that Einhorn will not be a Mets owner – I have no idea what this means for the Mets going forward. I doubt anyone else does, either, but there’s sure plenty of speculation to go around. Sandy Alderson suggested to members of the Buffalo media yesterday that the Mets’ 2012 payroll is likely to be in the $100 to $110 million range. Considering that more than half of that money ($63.33 million) is already committed to Johan Santana, Jason Bay, David Wright, R.A. Dickey and D.J. Carrasco, it doesn’t leave a lot for Jose Reyes and trying to improve the bullpen, the rotation and the lineup. The Mets completed the Francisco Rodriguez trade, acquiring minor league relievers Danny Ray Herrera and Adrian Rosario from the Milwaukee Brewers. Rosario seems to have a bigger potential upside, but Herrera is big-league ready and will be joining the team this weekend. Toby Hyde has more details on the two new Mets. One last note: please keep Gary Carter in your thoughts – he was briefly hospitalized this week with blood clots in his lungs and right leg.